Play Firewall Ball until no brick of the famous icon rests on one another! 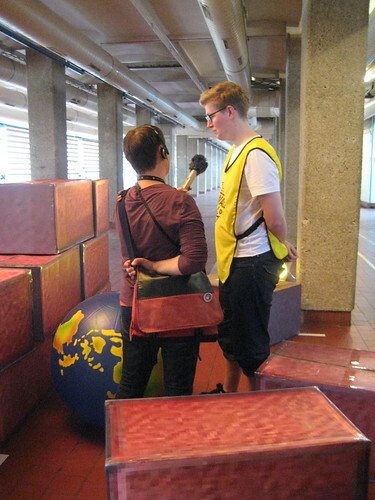 The highly official sport for the 21st century premiered at Ars Electronica this summer. For quite some time now I was thinking what exactly to do with the many depictions of firewalls on the web and the firewall icon of Windows in particular. 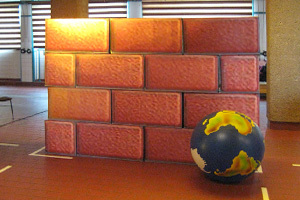 With Windows XP the feature of a firewall was introduced to the GUI and this new feature came with a depiction of a brick wall in front of a globe representing the World Wide Web. 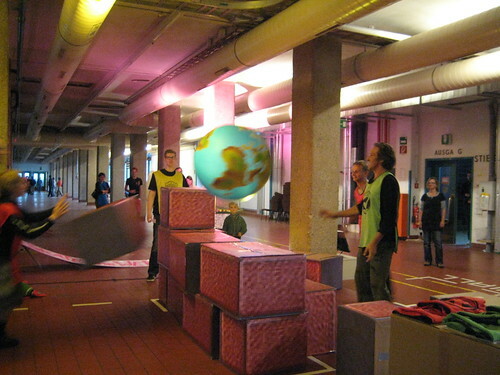 For Aram Bartholl’s great TELE INTERNET at the latest Ars Electronica I decided to make a serious sport out of it. The first players of Firewall Ball said they started to play simply because the wall was there. Others started to play for political reasons and some said it was an update of Volleyball that they had been long awaiting. Indeed, Firewall Ball resembles this game of the last century. And yet it is strikingly different: instead of a common net there is standing a (really) big Firewall in the middle of the playing field—and instead of a common volleyball Firewall Ball is played with a big world ball. And the rules are different, too. 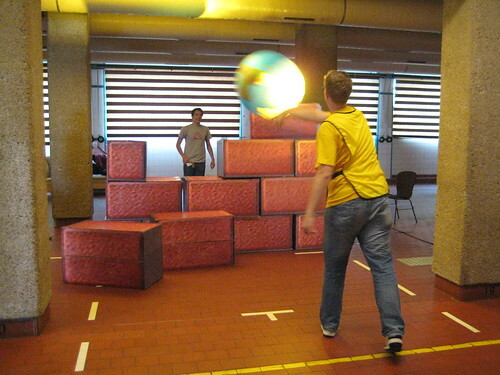 Firewall Ball is a sport for two teams. Each team consists of at least four players. Players start to throw the ball from the mark in the middle of the field. Their main goal is to play the ball to other team members on the other side. A teams scores a point when a player succesfully plays the ball to another team member on the other side of the wall. The ball must not be dropped and must be played back withing 1 sec otherwise the other team is allowed to start (and score). 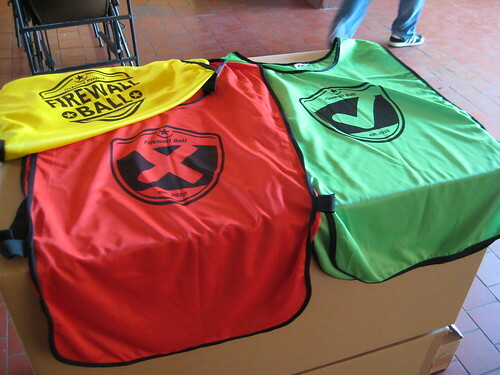 In general, scoring of one team is interrupted, if fouls are committed or the ball drops back to the field of the active player. The firewall we used at Ars was 1.80 m tall and 2.61 m wide. It was made of 14 stylized red brick stones. These stones rest loosely on each other. The game is played until no bricks rest on one other. 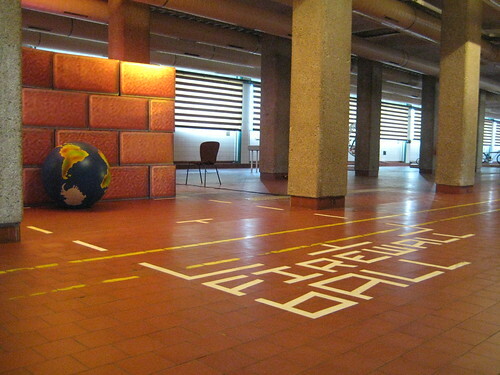 First official Firewall Ball playing field. This earth ball is glowing more than your icon ever could.